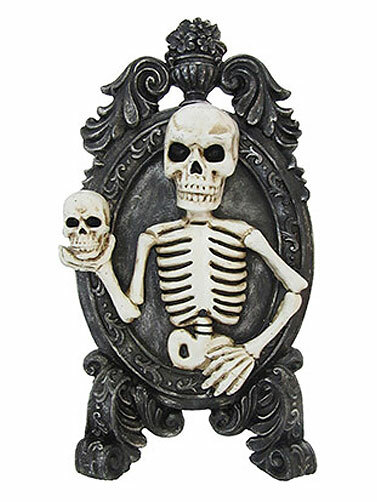 Our Tabletop Framed Skeleton has that eerie antique look you want for Halloween. The Gothic inspired frame looks great when placed on a tabletop or mantel. Framed skeleton has a 3-D look with the raised skeleton holding a skull in one hand in black and white. Resin. Tabletop Framed Skeleton measures 5.5"W x 10.25"H x 1.5" depth.